Have you ever found yourself in a place of misery and wondered how you ended up there? It doesn’t happen overnight. Each bad decision that we make takes us farther away from where we want to be. Until we find ourselves consumed by the darkness. The beautiful light that our souls desire seems so far away. We stumble around in the darkness, desperately seeking the light. Forgetting that the light is inside of us. It’s been there the whole time. When we have a problem, it’s only natural to seek outside solutions. After all, we are searching for something to dull the pain. The only one who can fix the pain, however, is the one who created it. We create our own pain, therefore we must search within ourselves for the answers to fix it. In my experience with God, He doesn’t just fix my problems. But, He gives me the wisdom to fix them myself. When we do everything that we can do, then God will do the things we can’t do. It is like a farmer who plants a garden. 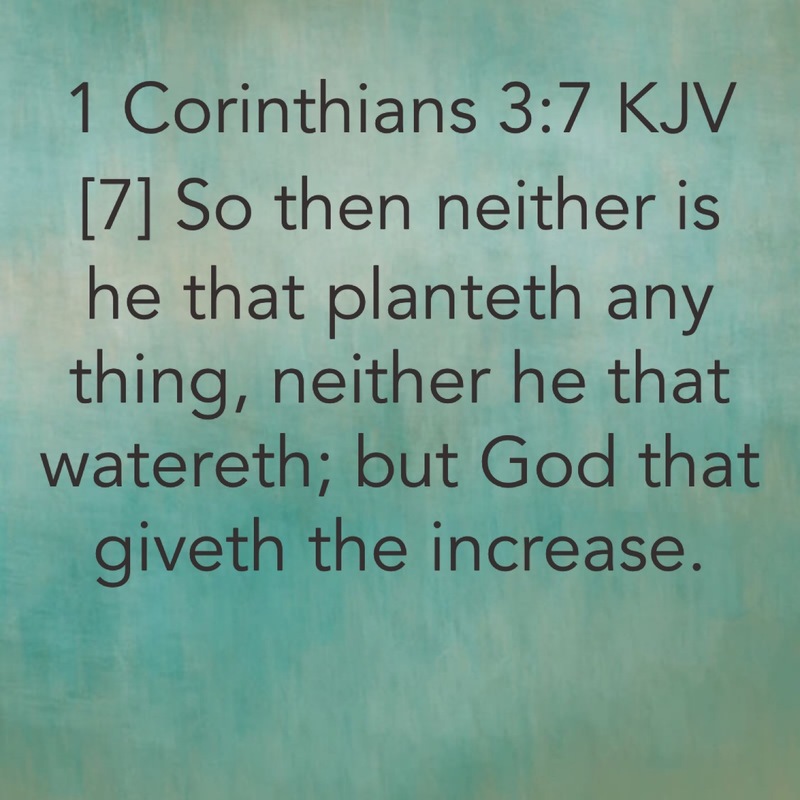 While he can plow the ground and plant the seeds, he can’t make it grow and increase the harvest. 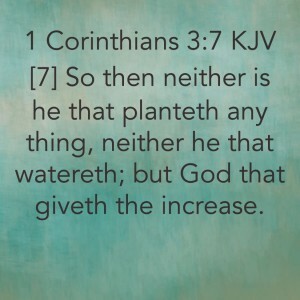 But if we fail to plant the seeds, then God won’t have anything to increase. It takes works combined with faith. If we are willing to work, then God will do His great work in us. Sometimes it is uncomfortable. When we want to change something about our lives or get closer to God, it will be hard. But the blessing is greater than the hardship. If we can just keep our eyes on the harvest, then we will be able to do the work. So often, I get discouraged because I want to reap the rewards before I have put in the work. Today, we need to trust in the fact that God has a perfect plan for us. He knows exactly how to help us. God knows what we need when we need it. We just need to seek Him with our whole heart and wait for our instructions. Once He gives us the guidance we need to do whatever He tells us to do. Usually, the ways of God are easy. We sometimes miss His instructions because it is so simple that we stumble over it. I normally have to do it my way and fail before I will go to God. Then, when He tells me what to do again, I realize that I have caused myself so much pain and misery because I didn’t listen to Him the first time.